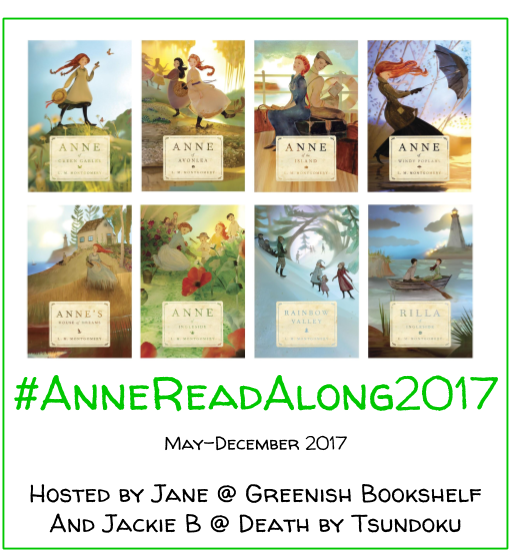 I am a few days late on this August Top 5 post as part of the #AnneReadAlong2017. Can you believe how fast time is going this year? We are already halfway through our Anne Read Along and I can’t believe it. If you haven’t already, check out our giveaway of a complete set of the Anne of Green Gables series on this post–open through September 7th! Even if you can’t commit to reading the full series, we hope you will join us for some of the books and for other posts along the way. Jackie also put together a schedule of monthly Top 5 posts all themed around our favorite redheaded heroine. This month’s theme is 5 adventures I would join Anne on. Enjoy! Drive with Matthew and Anne to Green Gables for the first time // There is something so magical about the first time Anne sees Green Gables and believes she has found her forever home. I would love to be sitting by her in the wagon and experience that excitement with her. Can I also include almost the entirety of the original novel? I would love to be in school to see Anne break the slate over Gilbert’s head, the disastrous tea party with Diana, and the sinking of the boat in the Lake of Shining Waters. Attend the concert and sleeping in the spare room (almost) // Such a classic moment in the original book. I love Anne’s excitement about every element (especially sleeping in the spare room!). Plus as my fabulous co-chair points out in her Top 5 this month, we met Miss Josephine Barry during this scene and she is definitely a kindred spirit. Bonus adventure: visiting Aunt Josephine in town for a week. Visit Hester Gray’s Garden // Technically this isn’t one adventure. But I love the description of this garden. First, I would love to go on the picnic with Anne and her friends when they first discover it. And I would love to share a romantic moment in this garden with my husband like Anne and Gilbert do in Anne of the Island. Spend an evening at Patty’s Place // I loved the way Montgomery describes Anne’s home at Redmond. It sounds so cozy and inviting. I would love to be Anne’s confidant and spend an evening with friends. Bonus adventure: spend an evening in the tower bedroom of Windy Poplars. Apparently I found all her home’s memorable. Attend Miss Lavender’s wedding at Echo Lodge // Is there a more idyllic place in the world than Echo Lodge? From the first moment Anne and Diana meet Miss Lavender, I just loved her. Their first tea sounded so delicious and so fun. What a sweet wedding it was and how fun it would have been to be there. What are some of your favorite Anne adventures? Ahhhh Jane these are all perfect moments that I too would love to experience with Anne! You and Jackie always knock these Top 5 posts out of the park! Aww thank you, Amanda! That’s so nice of you to say! And that is so true. That moment becomes so much more special once you know how it ends. These are so great! I would love to visit Hester Grey’s garden too! Great list! I would love to just spend a week in Avonlea and hang out with Anne for a week, getting to know her and all her friends and seeing all the places she holds dear. The Lake of Shining Waters and Lover’s Lane and Violet Vale and the White Way of Delight, and of course, Green Gables itself. These are such great adventures. Really, could you pick a bad one? I’m partial to the Lady of Shalott incident myself, but I agree that Hester’s garden sounds so lovely. Amen to that, Anne’s adventures are all classic! I love that moment too! Gilbert’s interaction with Anne is classic. !!! How could I forget Anne’s ride to Green Gables for the first time! That’s such a magical moment for both Anne and Matthew. Honestly, I almost picked moments for my Top 5 list exclusively from Anne of Green Gables. There are so many amazing moments in that book. Anne is such a distracted, dreamy child. Hester Gray’s Garden sounds lovely. And I really appreciate how Anne grows attached to it, so she takes care of it (sorta) from then on. 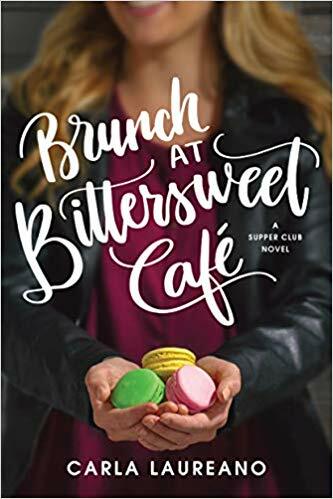 You picked so many lovely scenes– Lavendar’s wedding also?! Agreed. Beautiful moments. It would be so easy to come up with 5 adventures to join Anne on in AofGG! So many great childhood moments!